What’s going on world. Juiceroq illustrated has found yet another diamond in the rough. This one comes out of the D.C. areaand she goes by the name of D.J. Soyo. This female turntablist has made quite her name in the D.C. area through her skills on the 1’s and 2’s and her activity in her community. We got a chance to pick her brain as far as her thoughts on the dj scene right now, her favorites and her affiliation with the wu tang clan.You can catch her on the job on Wutangradio.com every Saturday from 12 p.m. To 1p.m .est. you can also get to know Soyo on her webite which is Djsoyo.com. all the contact info you may need can be found on her website as well . I am Mexican-American and Spanish is my first language. I wanted a name to represent me and as I was thinking of the name I was asking myself “who am I” which in Spanish is “quien soy yo” so I started saying so yo so yo .. I liked the sound plus the meaning of being, I AM. I am also a Speaker/teacher of Hip Hop and I talk about being yourself and so it tied in perfectly. How long have you been on the tables? 11 years; I am a baby in deejay years. I started late in life when most djs start as kids I was 30 yrs old. I am proud of taking a chance and making it work. What inspired you to d.j.? Hip Hop! I love it. It changed my life. The DJ is the life of the culture. I never thought I could even be a part of the culture and slowly I have become a part of Hip Hop. I am proud to be considered a part of it. 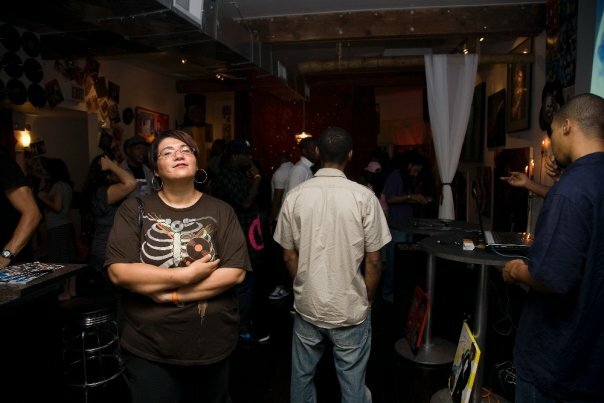 When I moved to DC I went to an event called Tru Skool, an open mic. When you first walked in ..for people not into hip hop they probably would of left, but for me it was heaven. There were people just leaning against the wall rapping along to the music and DJ Underdog; just rocking classics. I soon became a part of Tru Skool and was inspired by underdog, damu, Dj Earth1ne to become a dj. How do you feel about a dj's position in hip-hop today? The DJ will always be a huge part of Hip Hop or music for that matter. The climate is changing a lot; there are alot of people who are, what I call, hobby djs. I am known, and love that, for being a true Hip Hop head and in so I rock vinyl. I feel like there are many lanes, and we all have the one we like. I wish the more organic part of hip hop was still around; seems like everything is a formula and not genuine. Past to present, who are some of your favorite dj's? DJ Scratch, DJ Discowiz(the first latino hip hop dj), DJ Jazzy Jeff, DJ Jazzy Joyce, Afrika Bambaattaa, Kool Herc… the list is longer but you get the point lol! ..thank you all! Your affiliation with the Wu-tang clan, how did that happen? As many things in Hip Hop and me; it all came as a surprise. I am very passionate about Hip hop and how I speak of it. One of the Wutang Management members, Justis, saw that and he reached out about becoming a part of the Wutang DJ Coalition and later I was asked if I would be interested in having a slot on wutangradio.com and there I am every sat 12 to 1pm EST. Are you strictly a hip-hop d.j. or do you dabble into other genres? Although I am known for Hip Hop, old school and underground, I love all music and play all music. While watching you perform, what can we expect from you as far as sets? I love bringing stuff out that people forgot about or music you might of never heard but you will be like what is that. For me deejing is bringing and experience not just playing music. You will walk away with a great experience. What is your favorite vinyl? I have many! But some of my gems are the autographed copies of all my Rakim vinyl. Rakim is the reason I fell in love with hip hop so they hold a special place for me. There's definitely a revolution of sorts going on as hip-hop struggles to survive by purging itself of the negativity and commercial-driven, minstrel-like stereotypes that are plaguing it. Leading the charge are female artists and activists who, as of late, seem to be feeling like late civil rights activist Fannie Lou Hamer when she said she was "sick and tired of being sick and tired." In this case, many have grown weary of the onslaught of misogynist-themed songs and videos green-lighted by the corporate media outlets that air them. As a result, we are seeing more and more women coming together, starting their own record labels, putting on their own events and concerts, forming their own artist collectives - basically demanding respect while creating space for themselves. Erinn Ransom, a local activist and instructor at the University of California-Berkeley and Laney College in Oakland, explained that things are out of kilter and off balance. "People have been suffering from an estrogen deficiency even if they don't consciously know it. It's like your body is craving spinach or some other food to make up for being low in iron." Ransom added that all the hard-core hip-hop stuff was fun and had its place, but serious issues like ongoing wars, global warming and continued inner-city strife have people seeking a new direction. It comes as no surprise to her that women's voices are being sought out. Leading the charge are popular artists like Queen Latifah, who has a new HBO movie "Life Support," which focuses on the impact of AIDS in the African-American community. Because of her acting prowess, many forget that Latifah has one of the oldest artists management companies (Flava Unit) within hip-hop. She expanded upon her business and has produced and directed her own films. Latifah has set the bar and has been an inspiration to many, including her legendary contemporaries MC Lyte and Yo-Yo. They recently have combined efforts to put together a weeklong "Music Makers" camp where they will expose inner-city youth to industry experts to get an understanding of how things work behind the scenes. In a recent interview, Yo-Yo said it's critical that she and other successful women guide young people - especially women - to determine their own destiny. The goal, she said, is to get young women into a mindset of wanting to start their own businesses, and at the very least become familiar with the internal operations of the institutions and businesses they are involved with. More importantly, she wants women to network and build community. Ransom also pointed out that for years African-American women have been encouraged to be individuals, but so much so that a deficiency in community has been created. Now, she says, you find that being balanced as women artists create spaces for themselves. Here in the Bay Area those spaces have come about thanks to strong-willed artists, dancers and DJs like Jennifer Johns, Aya De Leon, Tracey Bartlow, B-Girl Aiko, DJ Backside and Pam Tha Funkstress to name a few. Others include female artist collectives such as Sisterz of the Underground and Herstory, who have all done their own female-themed events, one-woman shows, artist showcases and concerts. Also on point is Hip Hop Congress' Women's Project, where the 35-city Bay Area-based organization is working to put together a listing of women involved in hip-hop to be used for networking. Another project of note has been developed by Stanford's Hiphop Archive headed up by Marcyliena Morgan. In celebration of Women's International History Month, she and hip-hop scholar Dawn-Elissa Fischer are putting together a resource guide highlighting women in hip-hop at www.hiphoparchive.org/prep/women.html. In recent days, Maleena Lawrence has expanded her talk show on Comcast 26 and launched a series called "Ladies First," which focuses on women in hip-hop. She said she had grown frustrated with asking, "Where are my sisters at?" every time she showed up at a hip-hop event. ROLL CALL: Here's a shout-out for the upcoming "Queendom Vol. 1" compilation album put together by a male Bay Area rapper named Oposit. The album features everyone from MC Lyte and Ladybug Mecca of Digable Planets to L.A.'s Medusa and DJ Kuttin Kandi, along with Bay Area artists the Conscious Daughters and Aya de Leon. In Seattle, "Rise: Women Reshaping History Through Hip Hop" has put on three jampacked all-women's showcases over the past six months with artists like Pinay Sa Seattle, Melissa Noel Green, CanarySing, Gigi, Julie C Choklat and Laura Piece Kelly. In Pittsburgh, women have rallied around a collective called Nakturnal, which has nurtured the burgeoning careers of award-winning artists like Vanessa Germen, Empress and Kellee Maize, who has generated a huge buzz with her new album, "The Age of Femine." In Washington, D.C., there is a thriving community of women hip-hoppers with names like Noodles, Najiea, Mahogany Jones, MN8, DJ Soyo and DJ Earth1ne. Many of these artists have participated in the monthly women's showcase B-Girl Manifesto or the annual Can a Sista Rock a Mic festival. In New York City, it was standing-room-only for the premiere of "Lady Beat Makers: Vol. 1," a new documentary on female hip-hop producers. 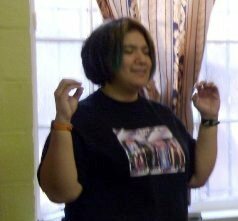 The film was the brainchild of Tachelle "Shamash" Wilkes, who heads up the popular Web site www.femmixx.com, which spotlights women in hip-hop. These events are just the tip of the iceberg of what's out there and what is set to come. Davey D's hip-hop column is published biweekly in Eye. Contact him at mrdaveyd@aol.com. Where My Girls At?, a presentation at the annual Can A Sista Rock A Mic? Festival held a roundtable discussion bringing up an important subject that is often overlooked in media and within the hip hop culture: women’s voices in hip hop. Event producer Shyree Mezick picked panelist that, alone, marked the importance of getting women’s voices heard and the endless possibilities of how women can make positive changes in the world. The panelist included authors, poets, and emcees, all of whom continue to contribute to the beauty and strength of femininity. The discussion not only touched on the subjects of misogyny, self respect, and female hip hop heads that fit outside of the stereotypical minority facade of hip hop, but it delved into the historical portrayal of women in American culture. In understanding the struggle of getting women’s voices heard in the music industry, more specifically in hip hop, it’s necessary to understand the fight women have gone through to achieve equality throughout history. Women have used their femininity and sexuality to express themselves, and rightfully so, but, at the same time, an element of abuse by their male counterparts is ever-present. Many people are continuing to come together to raise awareness about the power that women encompass, and women in the hip hop culture are taking back their images and taking back a culture they helped to create. One organization in particular, Women’s Truth, is using the unity of women within hip hop to carry on the name of Sojourner Truth. Sojourner Truth, born Isabella Baumfree, was a slave that fought to abolish slavery and help bring up issues about women’s suffrage. Although this phenomenal woman’s legacy will be forever memorialized in history books, her name is becoming less and less known to younger generations. In December 2006, after 10 years of Dr. C. Delores Tucker’s campaigning efforts, Congress passed a bill to memorialize Sojourner Truth. With the help of Congresswoman Shelia Jackson Lee and Senators Hillary Rodham Clinton and Arlen Specter, a bust and educational program that will spread the legacy of Sojourner Truth will be erected in Washington, DC. Not only will this memorial mark America’s appreciation for Truth’s works, but it will also be the first memorial to a black woman in the nation’s capitol. JIVE Magazine had the privilege to learn more about Women’s Truth, which is planning an enormous concert to raise funds for Sojourner Truth’s memorial. DJ Soyo, Commissioner for the Sojourner Truth Commission and an amazing hip hop enthusiast, has taken on the honor of spreading Truth’s word through music. Not only does she reach out to her neighbors in Washington, DC and youth audiences through her mixes, she also holds it down for female emcees everywhere by planning “Women’s Truth,” an event featuring and uniting women in hip hop from across the country. The main event will take place in March 2008, and will host a panel discussion and concert featuring women from all over the US, on both the mainstream and independent levels and will showcase the unity and diversity of women in hip hop. A few artists that may make an appearance include Mc Lyte, Rah Digga, Mystic, Yo Yo, Sista Souljah, Dr. Roxanne Shante, and Wise Intelligent. 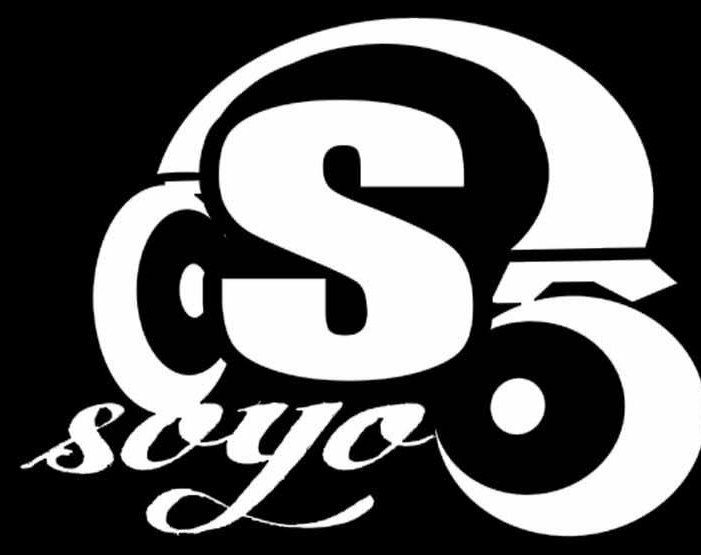 DJ Soyo’s reputation as a representative of the hip hop culture is rightfully earned. She is a reputable DJ, speaker, activist and promoter, representing the Temple of Hip Hop, the Lyricist Lounge, and Intelligent Muzik. Her list of accomplishments include hooking up with KRS-ONE to plan conferences in Washington, DC., Los Angeles, and in Florida; organizing free lectures from Professor Griff of Public Enemy; organizing tours for Dead Prez, Big Daddy Kane, Bootcamp Click, and Killa Priest; organizing “Rebuild Our Communities,” a concert that raised funds to help Hurricane Katrina victims that featured Immortal Technique, C-ray Walz, Chief Rocker Busy Bee, Just-Ice, and Wise Intelligent of the Poor Righteous Teachers; and organizing “Stop the Torture” headlining Dead Prez, Wise Intelligent and Mystic. JIVE Magazine: What is the mission of Women’s Truth, and what activities and events does the organization put on? DJ Soyo: Women’s Truth came about when I was named a Commissioner for the Sojourner Truth Commission. The commission was formed to raise funds to have Sojourner’s statue placed in the Capitol. I wanted women in Hip Hop to play a role in making this happen. To make it even more significant I am organizing the event in March 2008, which is Women’s History Month. JIVE Magazine: What elements of the entertainment industry does the organization mostly work within? DJ Soyo: I would say music. JIVE Magazine: How long has the organization been around? What sister or supporting organizations work with you? DJ Soyo: This is the first event that my company organizes (Hip Hop Unity, LLC). However, I’ve been a part of many events and have been a diligent representative of Hip Hop culture for about six years now. JIVE Magazine: Where are you located, and what regions do you primarily work with? DJ Soyo: Washington, DC. I am working with women in Hip Hop in Los Angeles, CA, Chicago, IL, Boston, MA, New York, NY, and Atlanta, GA. This event is not only a fund raiser, but [it will also] shine the light on the wonderful women all over the country that choose [to] represent Hip Hop Culture. JIVE Magazine: How can you be contacted? JIVE Magazine: Where can people go to check out performances? DJ Soyo: The venue has not been finalized. The website will be www.womenstruth2008.com and it will have updates on the event and women involved everyday. JIVE Magazine: What are your future plans with the organization? DJ Soyo: Well I will continue to connect with icons, legends in Hip Hop to educate people on what Hip Hop Culture is - also, to continue to be a catalyst of positive change. JIVE Magazine: What affect does the current image of women in hip-hop have on the youth? DJ Soyo: I wouldn’t blame the negativity on Hip Hop that the youth is experiencing. The crime rates are high due to the lack of funding to our communities and really the youth have nothing to do. The schools are horrible. Here in Washington, DC, the schools are so under funded to the point that classes are cancelled because there is no heat in the winter. Where is the anger over that! No rapper made that happen. Another school had bathrooms that could not be used. Do you really think kids feel appreciated and taken care [of] by their communities? Not at all. In addition to the drug problems, teen pregnancy, violence. Now I like to use Hip Hop to bring a positive energy to these kids. But the truth is those problems have to be addressed by the community as [a] whole. You want to feel pride but we don’t give them much to be proud of. We have grown folks still acting like teenagers. Using Hip Hop as the bad guy is a cop out. JIVE Magazine: What can interested women (and men interested in the movement) do to contribute to the organization, help young artists, and spread the word about women in the hip-hop culture? DJ Soyo: Support! Buy the music, come to the shows! If you are a promoter, include women in your events. Can’t make it easier than that. Volunteer at youth centers and if you are an artist, teach what you do. I personally always try to do community events, grassroots just to give the youth a different flavor to what they are used to [on] the radio. BE THE CHANGE YOU WANT IN THE WORLD! JIVE Magazine: What can communities do to help spread the word and expand the organization to reach more areas nationally and internationally? DJ Soyo: Well if there’s a particular artist, event or festival, anything of that nature, add them to your myspace page and email lists. Word of mouth [is] still [a] very effective form of advertisement. JIVE Magazine: What artists do you think people should look out for as far as female artists that are really making a difference in the hip-hop culture and/or are great examples of what the organization stands for? DJ Soyo: Well first look at the foundation of the Culture. Find out who the first female DJs were. Jazzy Joyce is [a] good one. Emcees like Sharock or even Angie Stone who used to be Angie B. from Sequence. Then of course MC Lyte, and the new breed of Emcees like Jean Grae, Apani B. Fly, Lady of Rage. DJ Chela, DJ Kuttin Kandy, man I could go [on] and on. JIVE Magazine: What can parents and mentors do to help youth artists develop their abilities without falling into the misogynic behaviors the entertainment industry often enforces upon women? DJ Soyo: I always say lead by example. Listen to your kids, talk to them. Stop being scared of our youth. Give them the freedom to express themselves once those lines of communication are open, they will listen to you. Have events focusing on women issues with the boys involved. That way they can understand the issues that girls/women deal with. JIVE Magazine: What can people do to help stop the abuse and disrespect toward women in the entertainment industry? How can people become more proactive? DJ Soyo: Start buying records from artists who do have the messages of respect for women. I do not listen to the radio, I can’t take it. As far as TV goes, hmmm, I like Ugly Betty, because it really shows how ridiculous this society is over looks and popularity. Play music that your kids will never listen to on their own… Don’t tell them [the music] is old. My son loved the Pharcyde and though it was a new group. I just let him think that.